The GT350 conversion sounds like a tasty project DD I look forward to reading about it's progress. Yep, the Candy Lavender colour is certainly in your face LOL, but I just love the look. My T500 is actually an "M" but the correct Maui Blue scheme was just too subdued for what I wanted. not much to report really, but barrels are at sep in kegworth, hopefully being worked on as we speak. unfortunately, as it's this time of year they need to do priority jobs first, such as race bikes and believe it or not, tractor parts all powdercoating should be done by the middle of this week, so i can at least start putting the rolling chassis together on the bench. 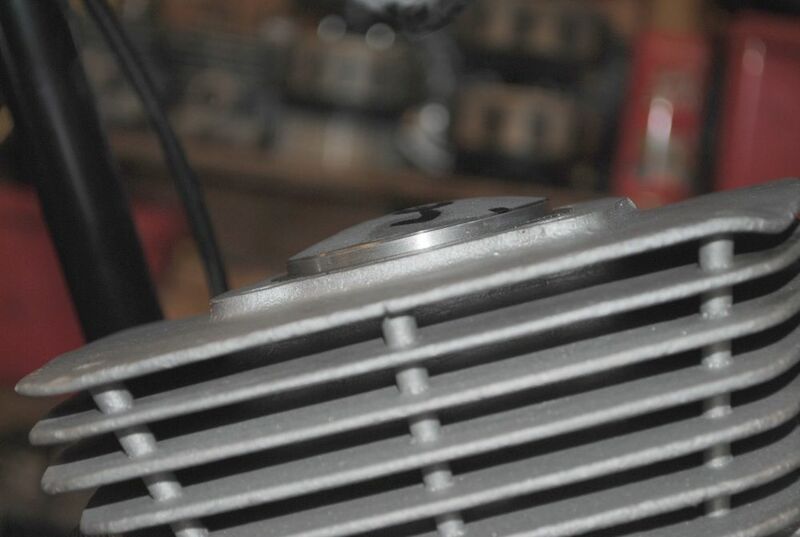 when i get the barrels back, i can send them off to a nice kind person who is going to mill the mouths out and match the transfer ports to gt250a size, both on the barrels and the crankcases. crank itself was a newly rebuilt unit, but had conrods with 14mm gudge pins, so i've had to do a conrod swap as the ts185 pistons are 16mm gudge. not too pricey at £60 including vat barrel work is just a tad more so, no photo's yet. will post as and when. ps, just to add. 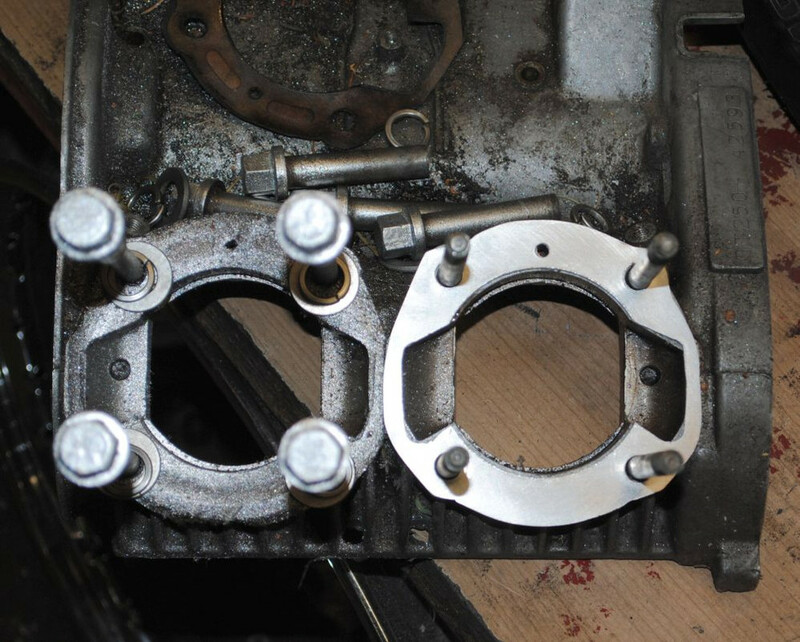 cylinder heads will be milled out to 64mm and we're going to copy the squish pattern/dimensions from a ts185 head. got to start somewhere obviously the depth of the dome will be different, as the ts head is very deep. 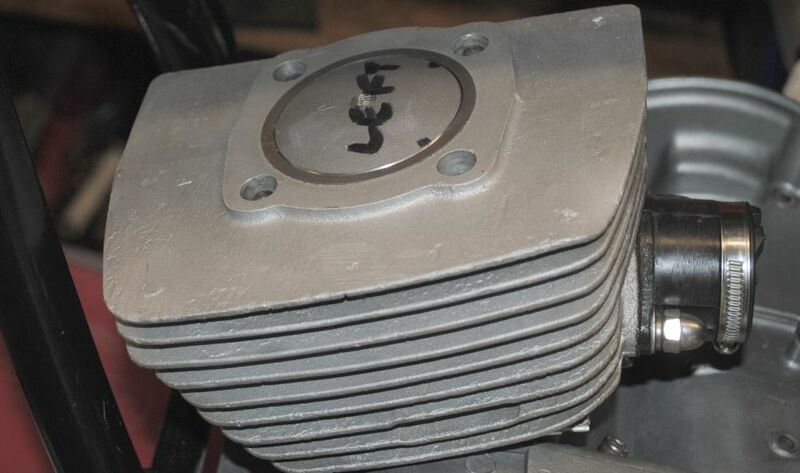 I'm curious how you got the GT250 cylinders to 64MM? 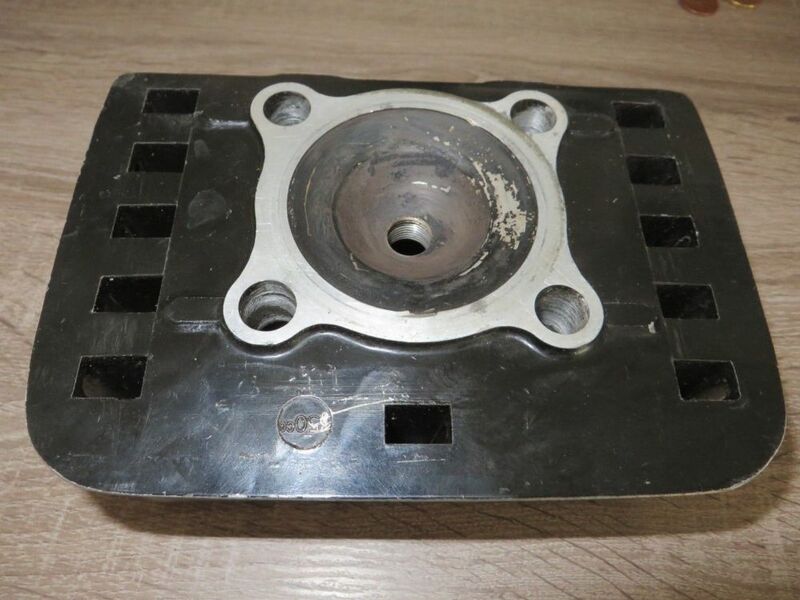 Where you able to install the TS185 sleeves? Very cool project I'm still trying to decide what I want to do with my extra 250 engine. I found rd250 cylinders are really close stud pattern so was thinking about seeing if I could weld in the case and re-tap for studs with the RD pattern and use the reed cage RD cylinders. Not sure there would be much in HP gain but it would be a conversation piece if nothing else. 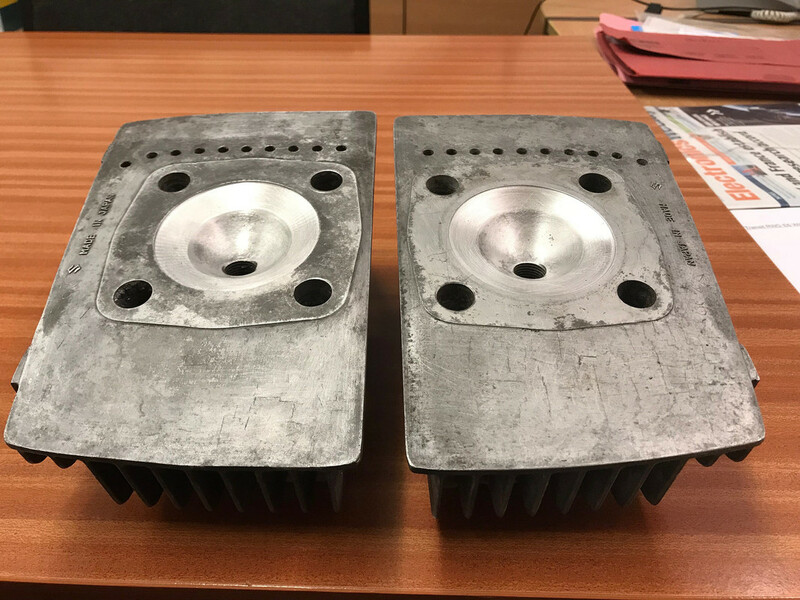 the 64mm bores are new liners, fitted and ported for me by sep, and a damned good job they made as well, albeit a bit on the pricey side, but you pay through the nose for excellent workmanship. the gt250a transfer ports job has been kicked into touch, BUT the transfer ports definitely need work. first photo is the first [scrap] base plate over the bottom of the barrel. 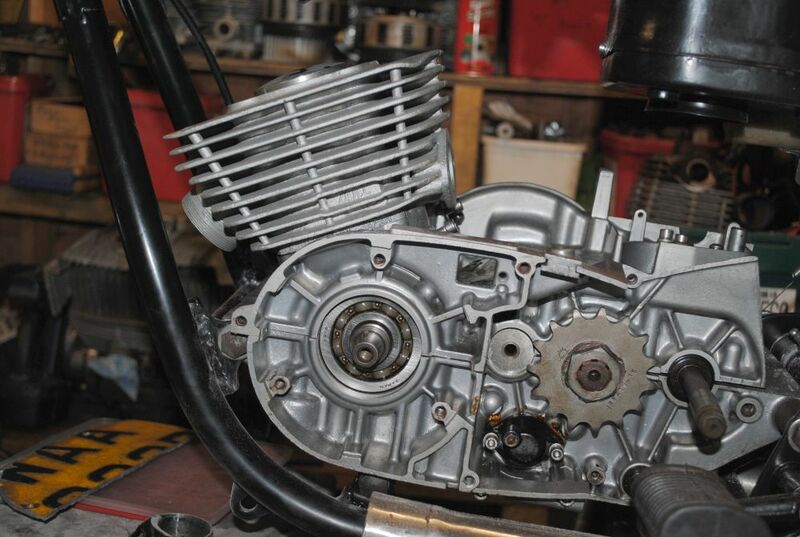 look how far the transfer ports are off compared to the photo of the first [scrap] base plate over the top crankcase. this is just standard gt250 ramair porting. they are miles off and definitely need machining out so they match. how could suzuki allow them to be so different? hopefully when they are done properly the gas flow will be far better, and let's face it, they couldn't be any worse top crankcase is an old one i practice on btw, not the one i'm using and yes, i know i put the base plate on the wrong way round, the thin edge should be to the middle, but that's only a practice, not the finished article. this is where the pistons will sit at bdc. base plate is on with gasket each side of it. to me it looks pretty damned close, but i'm thinking that when the head nuts are bolted down the piston will stick out of the barrel just too much. so i've ordered some more ali plate 0.5mm thicker than this one. unfortunately i haven't got the heads back yet, so can't put a piece of solder in to check. atm the piston is microns below the lip of the barrel and doesn't hit the head gasket when you turn it over, but that's with nothing tightened down, hence the new ali plate. 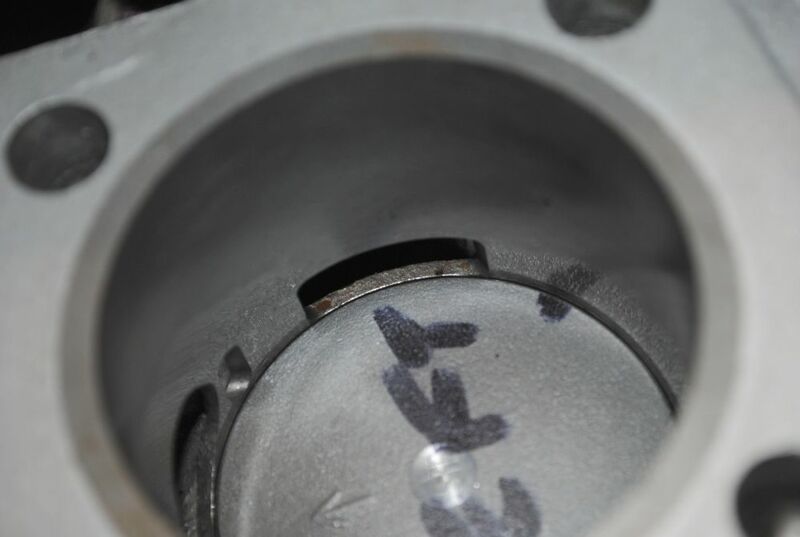 first photo is where the piston sits at tdc with the base plate and gaskets. Very cool. are there threads of your other builds on here? The GT250 transfer ports are terrible aren't they? I just finished the porting on the 250 I'm currently building and every time I do a port job with these single window style transfers I cringe in horror! The technology was out in the 70's I don't understand why they didn't use the dual window design. Some custom 2 stroke cylinders these days have 3 windows on each side. 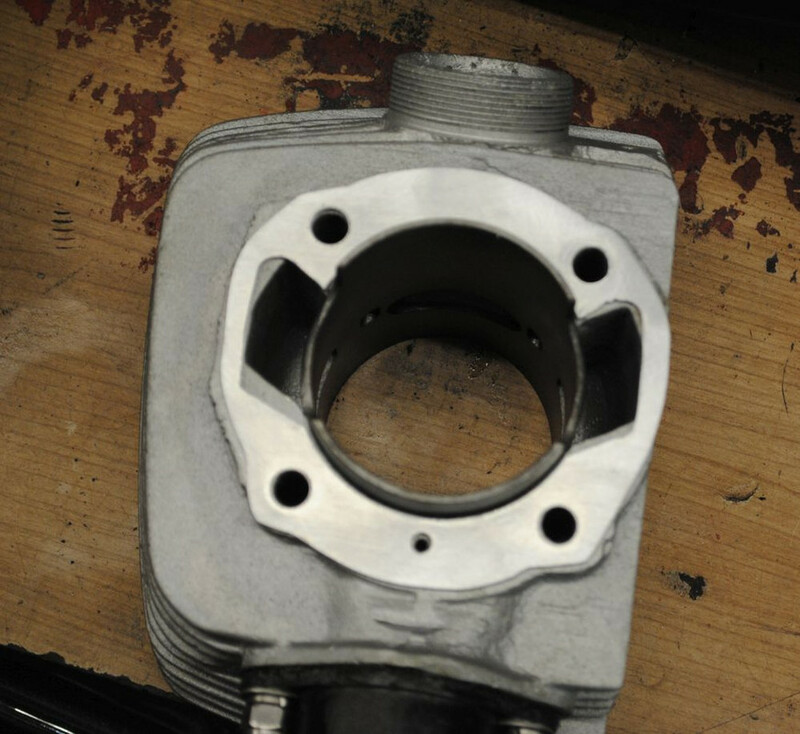 Not only does it give the piston support allowing for a wider port it helps a tremendous amount with directing the fuel charge. OK transfer port rant over lol...Don't even get me started on why they have the auxiliary exhaust ports so low... They should be level or close to level with the top of the main exhaust port. Original 60s technology at it's best. 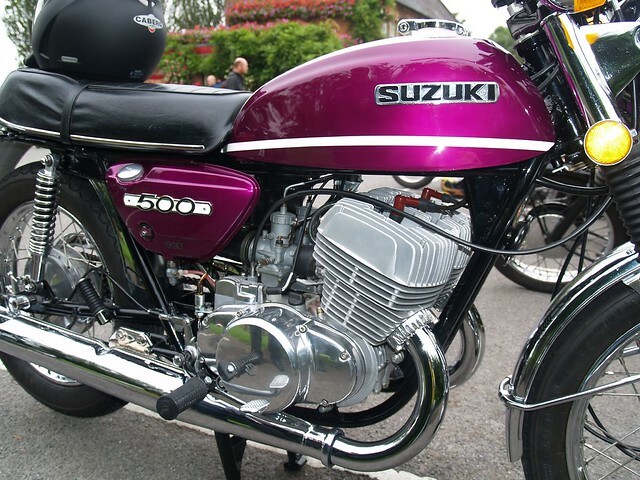 Remember that when the original Super 6 T20 came out in about 1968 ish, the best alternative 250 available at the time was about 20hp. The Suzy put another 10hp on. These bikes were available to 16 year old learner riders and there were LOTS of accidents, so more power wasn' really needed! Crooks Suzuki took one round the TT course at over 90mph average then, so they were cutting edge. https://ozebook.com/suzi/2017/09/27/tom ... race-days/ is an interesting read. Interesting read about the old Suzuki racing history. 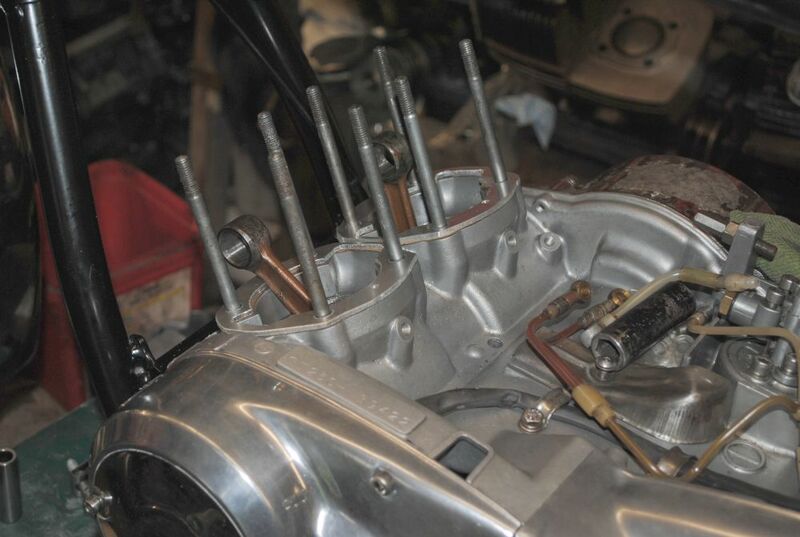 indy, most of my builds are on the 2 strokeforum.com site, either in the rebuilds section or the middle section. be prepared for a long read as i do tend to ramble on a bit [lot] the gt285 build isn't on i don't think, but what i did to that engine would fill a book, not a few posts it was a hell of a job, but worth it in the end. cool I'll have to see if I can find them. I ramble too so no problem there! I much enjoy talking to other people that really have sophisticated 2 stroke knowledge but its really hard to find them people. As a kid I found I had an obsession with them when at 9 years old my uncle showed me the simple widen and raise the exhaust and widen and lower the intake. After that from 10 to 15 I destroyed more cylinders than I improved lol but now at 33 and the head mechanic of a few performance shops I think I know enough to make a little power There is always more to learn though I'm constantly looking for new articles and such. 2 stroke tuners handbook and Graham Bells book was ok for the 70s and 80s but I wish I could find more really good reading material. Kevin Cameron has some good stuff sometimes. Theres a website dynotechresearch.com its all about snowmobiles which I work on more than bikes and for a couple bucks there is a bunch of good articles and some really cool bits by Kevin.